← April Savings – Bulk Foods at Discount Prices!! Whether you want to learn how to bake wholesome whole grain sandwich breads or explore the world of Artisan Breads, Bethlehem Harvest’s bread classes are an excellent way to accomplish your goal. Gather up a few friends, or come meet some new friends while enjoying a casual, hands on, baking class. We start each class with a discussion of ingredients, including the various kinds of grain that are suitable for bread baking. Then we will use freshly milled flour to bake a batch of whole grain bread from start to finish. You will get your hands dirty in the very best ways, and when all is said and done you will enjoy a slice of freshly baked bread and have some to take home to your family. 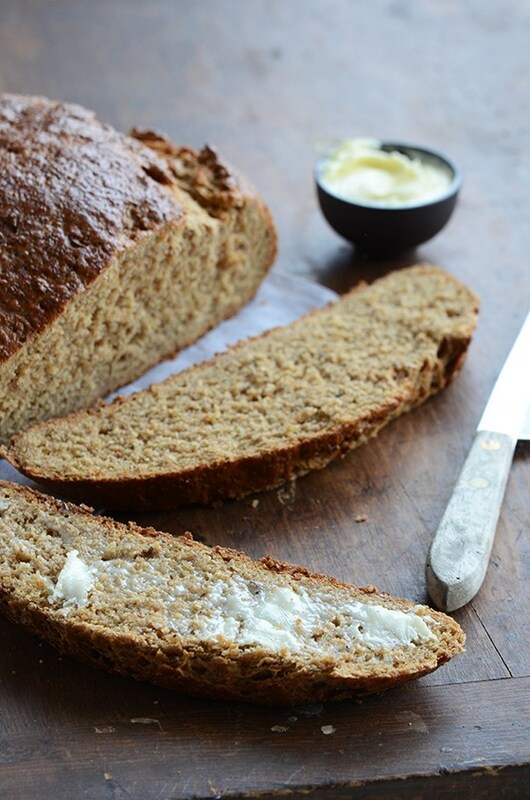 Basic Whole Grain Bread Baking – Saturday, April 13th; 1:00 – 3:00 p.m. This class is suitable for anyone who is interested in learning to bake whole grain sandwich breads. We will start with high quality ingredients including freshly milled flour and walk through the entire process of mixing, kneading, shaping, rising and baking. We will end up with loaves of delicious honey-wheat bread and some specialty items like cinnamon rolls or kolaches. This is a very hands on class that is suitable for adults and children (about 10 and up) who are accompanied by an adult. The cost is $20 per person or $40 per family. Artisan Bread Baking – Monday, April 15th; 1:00-3:00 p.m.
Artisan breads are a European tradition – something radically different than a loaf of grocery store sandwich bread. These breads feature a small amount of yeast that is allowed to multiply slowly, fermenting a loaf in a way that develops a unique taste and texture. Baked in a very hot oven, these breads are crusty on the outside and chewy on the inside, and when made with whole grain flours, these breads have flavor that is unsurpassed! This class is most suited to the adult student that has some bread baking experience. The cost is $20 per person or $40 per family. All of the classes are held at our home in Friendswood, Texas. Spaces are limited and fill up quickly. To make a reservation for any of these bread baking class please e-mail us at bethlehemharvest@gmail.com or text/call us at 281-797-8932. This entry was posted in Bread Classes and tagged bread baking classes, Bread baking classes houston, Houston, Texas, whole grain bread baking by Gail DeGray. Bookmark the permalink.